Its time review bakers best practices! 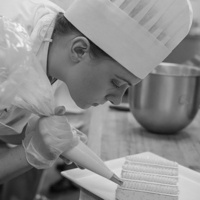 Meet with Hannah, baking student, to review baking percentages to get thtat next receipe perfect. Its pactice/game time!